Another great weekend made even better with perfect walking weather. Even the Marine Hotel in Aberystwyth was better than I had expected, with no one complaining about the size of rooms. The staff were all very friendly and helpful, and the food was excellent. 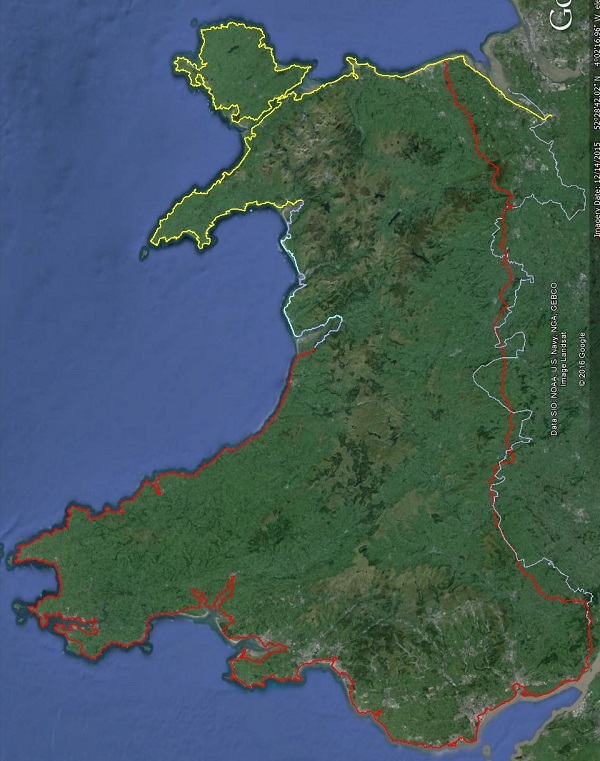 In total we walked 31.1 miles of which 27.6 miles was along the Wales Coast Path. It was worth walking the extra 3.5 miles just be able to say we had completed the whole of the Ceredigion Coast Path. All I have to do now is to send away for my certificate. We now have a break over the summer with more walks organised in September and October which will take us to Penrhyndeudraeth which is a good jumping off point for the Llyn Peninsular. The map below shows where we have walked so far in red, blue is what to plan to walk later this year and yellow for future years with an anticipated completion in 2019.